Click bamboo flooring in Espresso. Click bamboo flooring in Copper. 3-3/4" wide x 5/8" thick. Bamboo boards may be nailed or glued down using a polyurethane based adhesive and proper trowel size over an approved sub-floor. The naturally occurring knots can be seen in strands of four on a horizontal laminated plank. Janka of 1700 makes it more durable than maple and oak. Go green with the natural beauty of a bamboo floor. 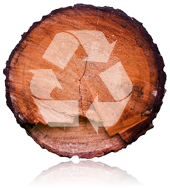 This flooring material is more durable than maple or oak and has the added benefit of being a highly renewable resource. That means that you can improve your home and the environment at the same time. 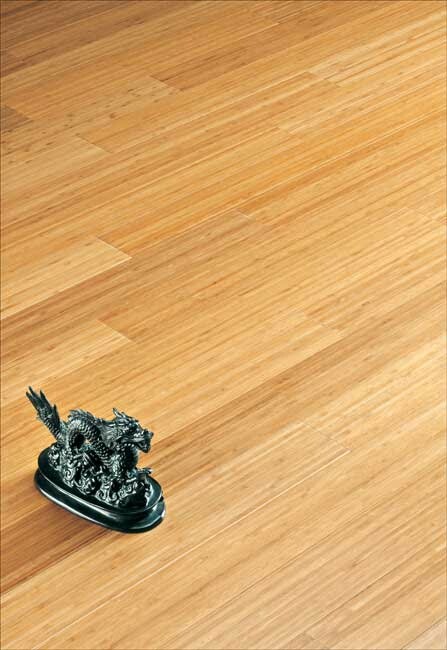 Go green with the natural beauty of a bamboo floor. This flooring material features a coffee finish, is more durable than maple or oak and has the added benefit of being a highly renewable resource. 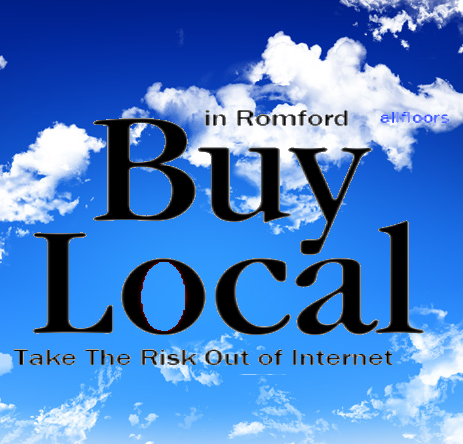 That means that you can improve your home and the environment. 3-3/4" W x 5/8" thick. Bamboo boards may be nailed or glued with a polyurethane base adhesive over an acceptable sub-floor. When you're choosing a floating floor for your home, the quality and integrity of the joint system is an important consideration. 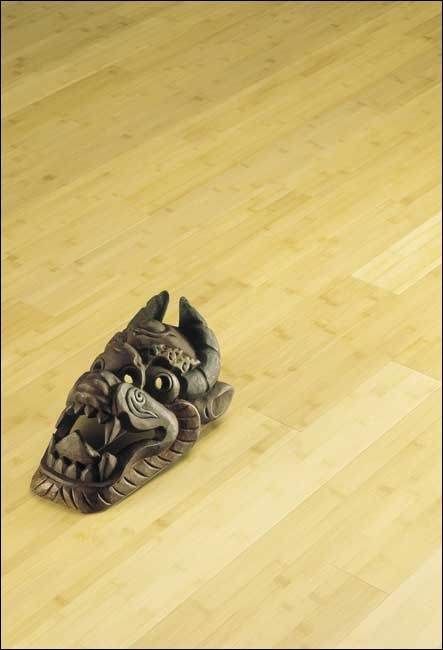 100% Uniclic Bamvoo floors.are premium floating floors that feature the integrity of the Uniclic joint. The key to the Uniclic joint is the constant pressure that the lower lip exerts on the tongue at a 45-degree angle, keeping tiles or planks in place. 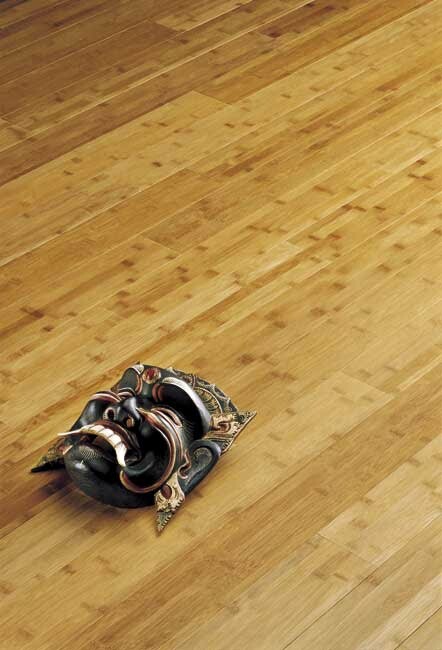 This enables Uniclic floors to "float" over existing floors or subfloors without glue or nails to hold them in place. It takes more than 450 kg (1,000 lbs.) of pressure per linear metre to pull apart two Uniclic planks! The Uniclic joint is precision-milled to tolerances of 1/1000 inch. Ultra-tight Uniclic means no gapping, and no "lipping". Lipping can occur on other floors when tiles are joined together. 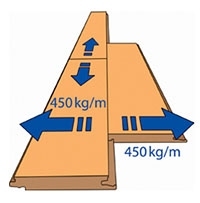 Open joints can result over time with joint systems where fitting of the two pieces is not sufficiently tight and/or when pieces are not held against each other with continuous pressure. 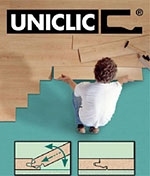 Uniclic floors are installed by angling tiles/planks and "clicking" the joint together. Floors can be relocated three times under full warantee by simply unclicking and reclicking the tiles/planks together. Secret click Bamboo in bronze.